Diana McCaskill, is a Certified Meeting Professional with 25+ years in the meeting and hospitality industry. Diana began her career in the hotel arena. There she participated in a hotel management training program where she learned all aspects of the hotel business from front desk and human resources to sales. In 1997, Diana was recruited to join the San Diego Convention Center as a liaison with the Convention Center Citywide Sales Team and the San Diego Convention & Visitors Bureau. In 1998, she joined the San Diego Convention and Visitors Bureau (SDCVB) team to develop their Convention Services Department. There she worked with large citywide conventions as a liaison between the city, hospitality community, and logistics. During the same year, she and her husband opened a successful 5,100 square foot jazz supper club, Juke Joint Café, in the Gaslamp Quarter of San Diego. In 2001, Diana was promoted to be the Tradeshow and Special Events Manager for the SDCVB. In this position she promoted and represented the city, hotels, venues, and vendors internationally. This role called for Diana to be responsible for planning and executing 50 client events, membership meetings and tradeshows per year. These events promoted the City of San Diego and the hospitality community to interested meeting planners internationally. In 2005, Diana ventured out on her own to establish Fruition Consulting, a meeting planning and project management company. Her upbringing in a family owned printing business, experience in hotels, restaurants, and convention centers along with representing the San Diego Convention and Visitor Bureau, gives her a unique skill set as a meeting professional. Diana holds a BS in Political Science from the University of California at San Diego and has been a Certified Meeting Professional (CMP) for 15+ years. Richard McCaskill shaped his creative and business skills on Chicago’s Southside. Raised by a single mother, Richard learned to be self-reliant at an early age. By age 12, he could play the alto saxophone well enough to earn a scholarship to Roosevelt University’s merit program. By 15, Richard started his own promotions company and was promoting and producing “House Music” events. At 17, McCaskill developed his leadership skills by joining the US Marines. Later, during the 1990 Gulf War, he served with Joint Special Forces as intelligence liaison and training advisor for Arab allies. On the battlefield, as an electronic communication specialist, he adapted communication technology for controlling combat air traffic. After the war which ended his six-year enlistment with the Marines, he started several ventures ranging from industrial imports to theater and art exhibitions along with general business consulting. In 1998, McCaskill conceptualized and secured investor capital to fund an upscale supper club in San Diego’s Gaslamp District. The Juke Joint Café was quickly named Best Live Entertainment in San Diego and launched the career of todays’ number one jazz vocalist, Gregory Porter. McCaskill has always been a team builder with a sixth sense for forecasting business trends. In 2000, he decided to focus his attention on building a company dedicated to talent and content development in the creative industries. He started by grooming local musicians into successful national acts, performing over 600 live shows in four years. This led to original music being placed on national television shows. In 2007, Richard switched his focus from entertainment to the environment. McCaskill started Recon Recycling, LLC with no capital, finding everything he needed from the waste stream. Through sheer determination and hard work, he was able to build this award-winning company up to $1 Million in gross sales. During this time, Richard voluntarily trained inmates for one year at both R. J. Donovan Correctional Facility and Las Colinas Detention Center to start their own recycling companies. Ten businesses were started by former inmates as a result of this training program. In 2010, Recon was awarded a three-year contract as an Environmental Consultant for the Unified Port of San Diego. ​In 2011, Richard was invited to survey the waste stream in Senegal, West Africa and proposed solutions to source-separated recycling. During this time, Recon launched an international recycling operation in Dakar, Senegal. In 2012, Recon won a contract with MCRD (Marine Corps Recruit Depot) to recycle their scrap metal and paper. Recon recycled material from notable clients that include, ComicCon, Ikea, House of Blues, Raytheon and Thales. Recon has now evolved into an environmental consulting firm working with the County of San Diego and the State of California on Zero Waste initiatives and environmental policy engagement. Richard is solely responsible for changing the recycling laws in the City of San Diego (AB939) that would have excluded small recycling companies from participating in service fee collections. ​Richard is also co-founder and partner of Fruition Consulting, a firm that increases companies’ visibility and profitability through business development, fundraising, conferences, and project management services. Richard has 20+ years of experience in business development, import/export, commodity brokering, and entertainment. His strategic plans and innovative solutions manifest market share. Richard served on the Board of the San Diego Youth Services for seven years and currently co-chairs the Small Business Opportunities Advisory Panel for the California Air Resources Board. The Board represents 3.4 Million small businesses in the state of California. Fruition has a team of collaborative partners, many of whom we have worked with for 20+ years. All bring a unique set of skills that allow us to enhance our clients experience. ​Kelly Paschal-Hunter is the founder of the Paschal-Hunter Gallery, a mobile gallery that rotates throughout the nation and advocates for artist of color. She has nursed the creative community for over twenty years nationally and has extended her helping hand to artists around the world. Kelly began her creative career in the music industry as a marketing executive with several major record labels. Kelly was a key market strategist in the transition of Hip Hop from underground to global commercial success. When she wasn’t focused on record label business, her attention always pointed in the direction of the visual art world. She cut her teeth as gallery manager at Samuel’s Gallery in Jack London Village and later in Jack London Square. Learning the trade quickly she increased the galley’s profits and impacted the careers of several notable artists. Later, Kelly branched out on her own representing artists, and producing exhibitions, while selling original art to corporations, celebrities, and collectors of all backgrounds. One of her most recent exhibitions was ICONIC: Black Panther, an art exhibition fundraiser celebrating the 50th Anniversary of the Black Panther Party. Paschal-Hunter Gallery also recently partnered with Fruition Consulting to launch a new type of cooperative for artists. This co-op is a pathway for the development and distribution of diverse intellectual property on a global scale. Kelly holds a B.A. in Communicative Disorders, with an emphasis in Speech Pathology from San Francisco State University. Over the last 26 years, Pilar has provided leadership at institutions across the private equity, hospitality, and nonprofit sectors, earning a strong reputation as a business and civic change leader. She is regarded as a strategic, innovative, multidisciplinary, results-oriented change agent passionate about the rise of diverse leadership, promoting equal access to economic opportunity and investing in education. Pilar is the founding leader of interDUCTUS, an organizational change management consulting practice focused on enhancing the capacity and performance of nonprofit and private enterprises by providing extended leadership and multidisciplinary expertise. As chief executive officer of New America Alliance, Pilar led implementation of the NAA mission focused on building on American Latino success while bringing diverse leaders and communities together to forge a stronger America. Under her leadership, NAA launched the Access to Investment Capital Initiative which has opened access to billions of dollars for diverse asset managers. As Palladium Equity Partners Vice President, Pilar was part of the team that raised a historic $780 million Hispanic market investment fund. Pilar also provided leadership in amplifying Palladium’s brand positioning and reach in the investment community and the Hispanic market. Pilar began her career in hospitality management with Hilton and the Puerto Rico Convention Bureau. 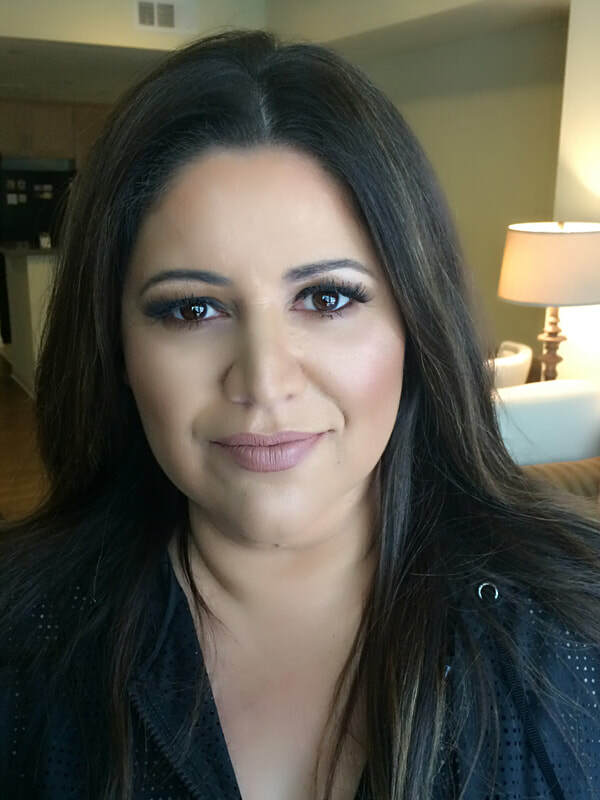 As the Bureau transferred her from San Juan to Washington DC, Pilar was immersed in the burgeoning Hispanic market when she joined the U.S. Hispanic Chamber of Commerce as a VP of Marketing & Events. Pilar is a founding member of the American Jewish Committee’s Latino Jewish Leadership Council, serves on the board of New America Alliance. She was recognized in 2015 by the New York State Assembly with the Abrazo Boricua Award and by Council of Urban Professionals (CUP) with the Catalyst Change Agent in Finance Award. Pilar is a graduate of the University of Central Florida’s Rosen College of Hospitality Management.